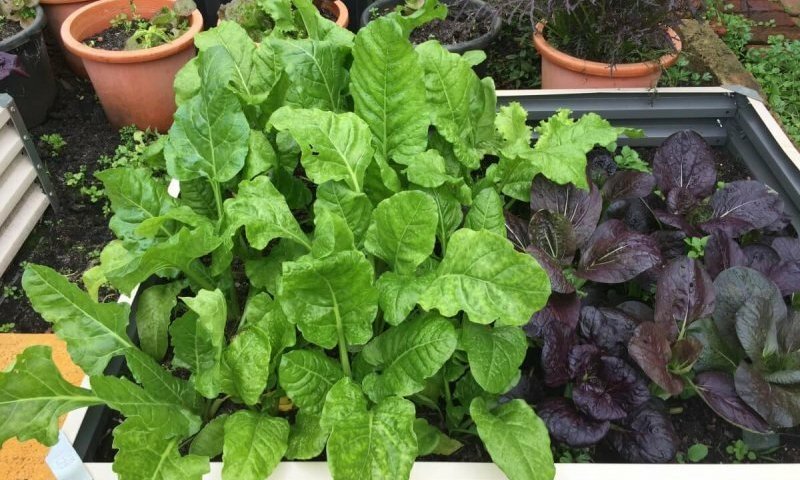 The care you give your garden at the end of the growing season plays a big factor in how well your edible garden will do in the coming seasons. Use our tips for fall clean up and help set yourself up for success in the years to come. When the time has come to wrap up the summer garden, harvest all the remaining produce. Many of the fruits, like tomatoes, can be set in a cupboard to continue ripening after they’ve been picked. Take inventory of all that you have and plan an autumn feast. Then think about canning all the excess or giving it to a food pantry. Most of your herbs, like rosemary, oregano, thyme and lavender can be dried for use over the winter. To save the seeds from produce like squash, beans and even tomatoes, leave the vegetables on the plant to ripen completely. If they start to shrivel up, that’s okay. Separate the seeds from the pulp, rinse off completely and then spread out on flat sheet pans to dry out. Once dried, store in a small jar placed in a cool, dry spot. Don’t forget to label each item. If there is any remaining fruit or veggies hanging on plants, pull them off. You can place plants in the compost pile and you don’t want to be adding seeds to the compost. No compost pile? Well, fall is the perfect time to start one. Plants that are showing any indication of pests or disease should be thrown in the yard waste container – do not put infected plants in the compost. When plants have been removed you can pull out weeds that spent the summer hiding under the veggies. Weeds can be included in the compost pile – but again, not if they have produced seeds. If you have grown small veggies or herbs in pots you will need to clean them out for the winter. Pull out plants including the root ball. If the soil was new this season you can leave about half of it in the pot to use again next year. Soil older than one season should be replaced for optimal nutrients to your plants. If the plants have shown any signs of disease or pests, then all of the soil should be removed. Scrub out the pots with a mix of dish soap and vinegar in a bucket of water. Turn pots upside down and allow them to dry completely. They will be ready for your cool weather crops or can be stored away in a sheltered location until next spring. We’ll never stop preaching that good soil is imperative for a successful garden and even more important for an edible garden. Your plants have spent the summer eating up the nutrients in the garden beds and they need to be replenished. Now is a good time for adding soil amendments. If you have been turning your own compost, spread out the results of your hard work. If not, visit your local nursery to pick up some bagged organic matter. Spread a thick layer of either product over the beds. Once spread pick up a shovel and turn over the matter working it into the soil. In North Texas cool weather crops do very well. If you want to put in some “cool” veggies, now is the time. If not, you can just let the beds rest until you are ready to plant in the spring. If you’re waiting until spring to plant your next crop, you can put in a layer of mulch to cover the surface of the beds. This will help to control weed growth and it also serves to keep the soil warmer making it better prepped for spring planting. If you have perennial plants like berries, you should prune out scrawny vines. Chose a few of the healthiest vines to keep on each plant and then cut the others back to the ground. Large growing vines like grapes should be thinned out. Strawberry plants tend to grow very densely and they can also be thinned. In this case, pull up excess by the root and transplant them to another bed or share the bounty with friends. Asparagus and artichokes can be cut back to around six inches above the soil. All the apparatus you use in the garden can be very costly. Be kind to your pocketbook by being kind to your supplies. Clean up trellises, tomato cages, growing spikes, etc. and store them away for the winter. Tools in particular need special attention. You should dunk shovels, spades, pruning shears, etc. in solution of water and bleach. This helps to stop the spread of disease. If tools need sharpened now is the time to do it to be ready for spring. Give the wooden handles as well as the metal tips a coating of oil. This helps to hydrate the wood and prevents rust on the metal. Did you make notes throughout the growing season? If so, refresh your memory as to how everything performed and think about any changes you’d like to make for next year. What was successful and what did you most enjoy? If you will be eliminating some plants and adding others, think about available space and start plotting your course. Winter will speed by quicker than you think. Use this time well to prepare for next year’s crops. You’ve got your clean up finished, now the planning is the fun part.